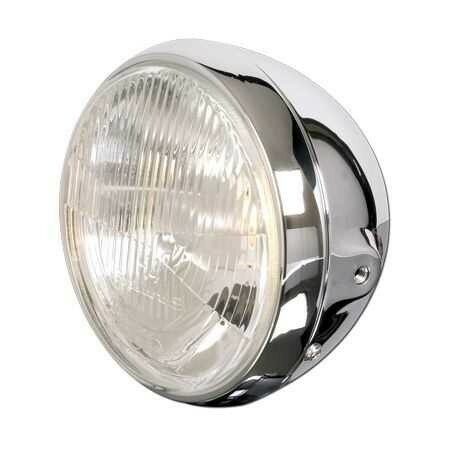 Main headlight 7 inch, in chromed metal housing with patterns on lens. H4 insert with front position light (FPL). E- marked. Note: Please order illuminant for main headlight separately.